It feels like I’m clearing out the wardrobe for spring as I’m digging out old photos that I’ve been meaning to post on the blog. You might remember me saying, if you’ve been following me since day one, that I was glad to have discovered new labels for Turkish wine. Since then, I’ve had many more wines, but I haven’t written anything about them. I’ve been drinking a lot faster than I can write about them, so the empty bottles are collecting in the corner of my kitchen as are the photos of them. So today I will be cramming for writing about all the wines before I head off to the wine course. It might be interesting to see how my wine reviews will change after the course. I will have more fancy wine vocabulary for sure, but I hope I don’t change to a wine snob from a wine enthusiast that I am. When I first encountered Pasaeli, I was very curious about their blend of Cabernet Sauvignon, Cabernet Franc, Merlot and Petit Verdot, two of which are my favourite grapes; Cabernet Franc and Petit Verdot. 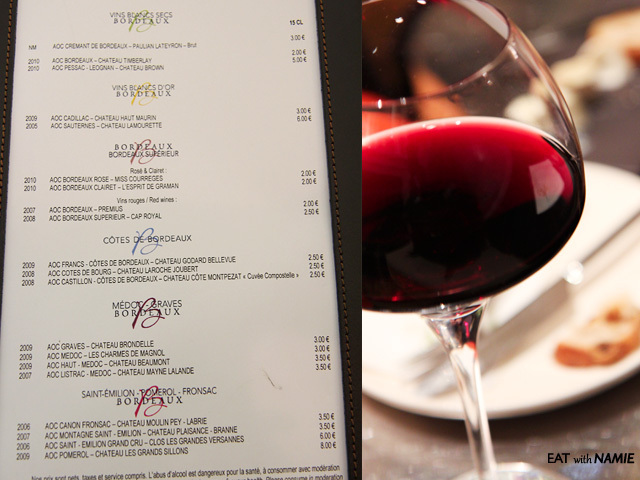 When I was trying different wines at Bar à Vin in Bordeaux every week or every two weeks, as they rotate their wine menu, I discovered that certain wines pleased my palate more than others and it was nothing to do with the price. And I realised over time that the wines I’d tried and liked usually had Cabernet Franc or Petit Verdot in the blend. The earthy, peppery, kind of musty taste of Cabernet Franc is not for everyone, but I am more of full-bodied, spicy and fruity wine, so 100% Merlot wine is not for me. Having said that, I am not a huge fan of bold Cabernet Sauvignon, either, but I loved Bordeaux wines whose dominant grape is Cabernet. However, the way Cabernet is blended with other types of grapes makes BDX wines elegant and so enjoyable to drink. I wish more bars like Bar a Vin where people can drink wine by glass open everywhere so that people have access to wines which they would otherwise never get their hands on. Going back to Pasaeli, I bought the K2 2009 blend as I wasn’t sure of the label, therefore I wasn’t willing to pay extra 10TL just for the fact that 2008 had been aged in an oak barrel for one more year; luckily, I’m not so keen on oaky wines. So I drank it that night and was very pleased with its complexity, red fruit flavours and nice tannic structure that tickled my tongue and breathed down my throat, though there was still that jamminess, which some people like and some don’t. But overall, I wouldn’t mind drinking it again. Well, so the lesson here is that even though in the world of wine, the price and age of the wines are important factors in determining the quality, they are not all that matters. Also, the fact that the wines have been rated highly by wine experts doesn’t guarantee that you will like them like they did. Then what? Keep drinking different wines and expand your knowledge, and in my opinion, one of the best ways to do it is to have a wine night from time to time and share wines with other people because you can’t afford to buy and try all the wines on the shelves unless you’re rich. Well, that’s what I do anyway. And everyone deserves to have a sip of good wine, not only the riches. One must drink the wines to learn what is out there : ). There can be so many things different between the different vintages, it is really interesting that you filing such a differece between 2008 and 2009, as according to the web site, the wines look very similar. Well, the percentages might be different in the blend – I would be curious to see the tech notes on those two wines…. Unfortunately, the winery website isn’t available to learn more about the differences. The only difference was 2008 was aged 1 year longer. There might have been a factor in different vintages and harvesting, which is less likely to affect Turkish wines in comparision to Bordeaux. I remember being really surprised by noticeable differences in vintages by the same winery during my tastings in Bordeaux. I’ll update this post when I get more information on these wines. Thank you.